Now here is a rare figure that not many say they have or even knew about. I only found out about the existence of this because of another blog I was looking at. These figures have been out since last year I believe and have quickly sold out. 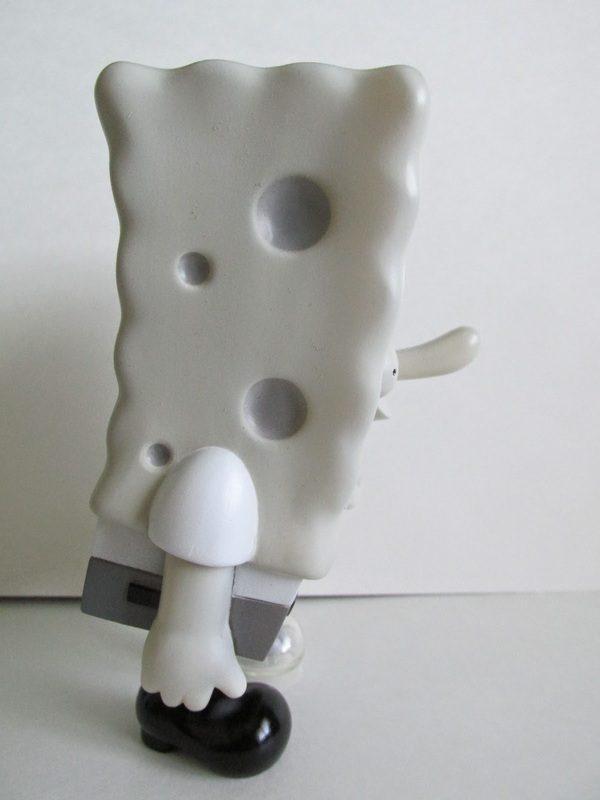 Secret Base has created many variations of this Spongebob that range from the classic color way to a special edition pink cherry blossom color. Unfortunately, most of these have sold out by the time I found out about it, but I managed to snag a black and white version of this figure. 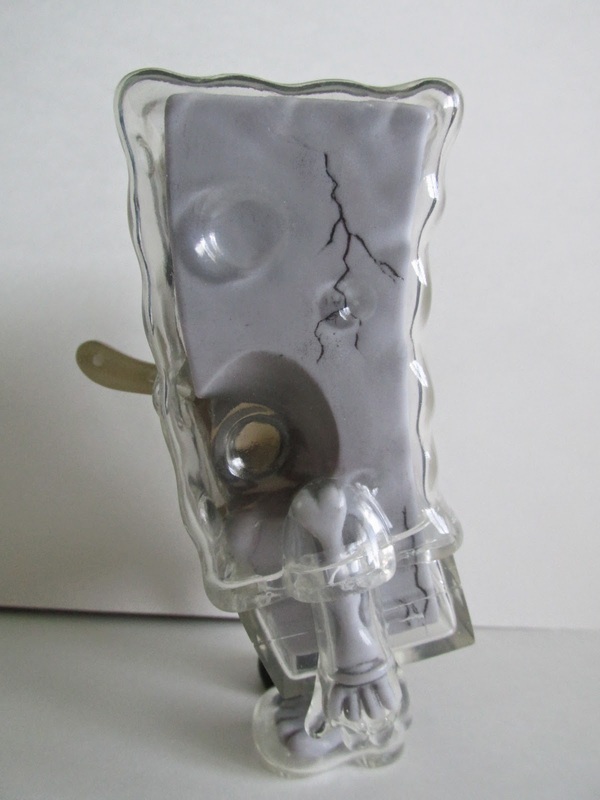 This figure is made of a soft vinyl and features no articulation. 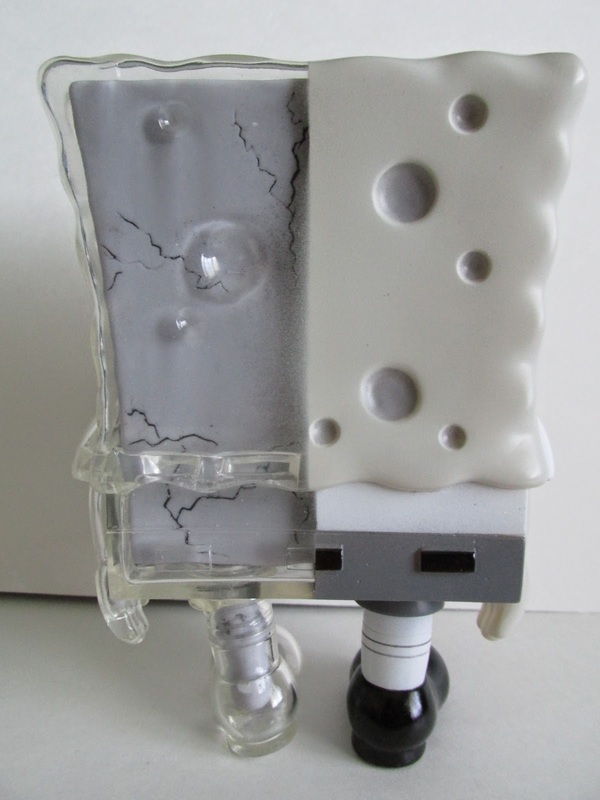 The cool factor lies in with the craftsmanship and the fact that its Spongebob that is part skeleton. 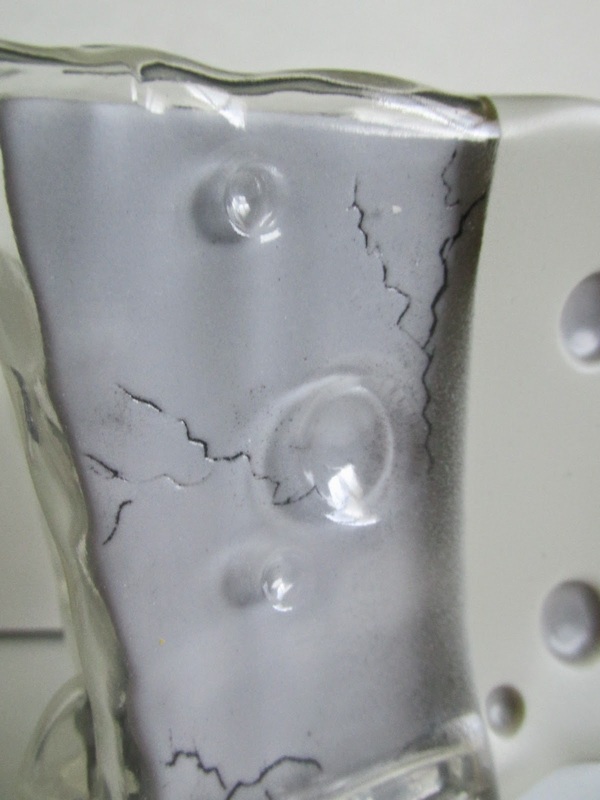 The skeleton is encased with the soft rubber skin of Spongebob, and it even features cracks throughout his skeleton. The figure stands about five inches and can fit in most places. Again, the paint apps on this are really amazing and can be quite a trippy addition to any collection. The only accessory he comes with is a rubber key chain that features the classic colors of Spongebob done in the style of this figure. A nice addition but compared to the t-shirts that came with the other editions this is meh. If you can find yourself this figure, I highly recommend acquiring this because this will be hard to come by. For me, this will be a nice addition to my office at Nickelodeon and has already caused quite an excitement.